You will already be familiar with the flexibility our platform offers in a certain number of areas. For example, you are able to create a smart category for your sale products or use product schemes to show which cycle schemes you participate in on relevant products. 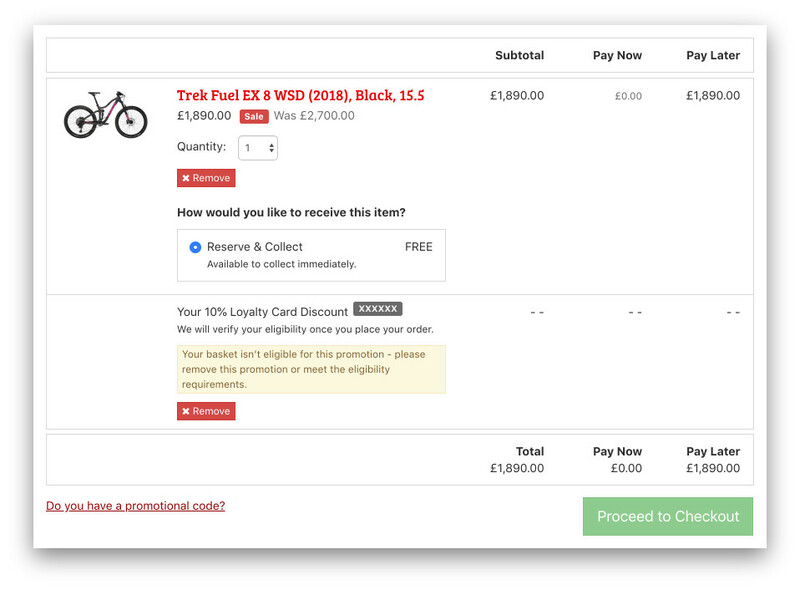 With our new options, you can now apply this same concept to fulfilment methods, promotional codes and finance products, allowing you greater control over your product offering. We are now bringing the same enhanced flexibility to your fulfilment methods, promotional codes and finance products so you can better tailor these to your needs. 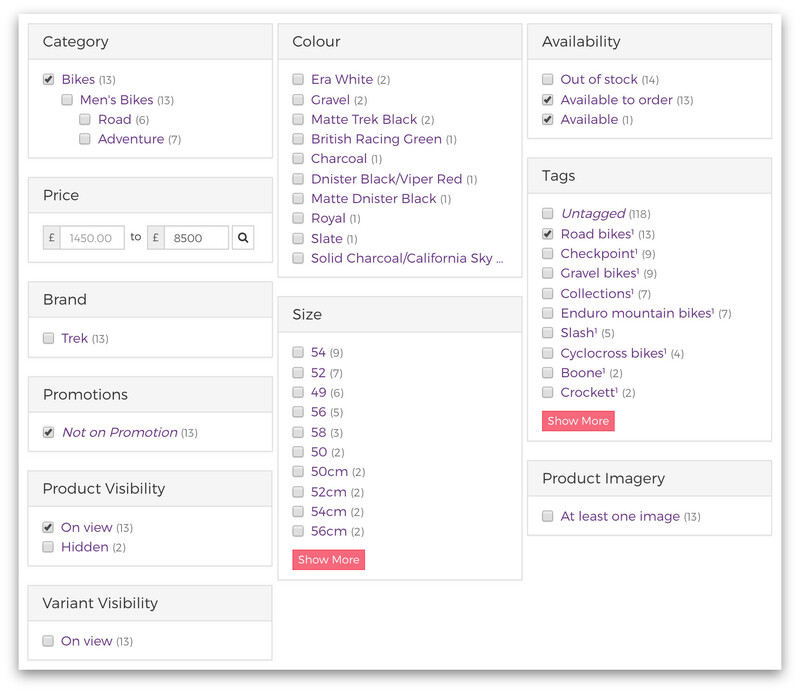 You no longer need to create categories to pick out your products eligible for a particular fulfilment method or a particular promotional code or finance product as you can use any of the other filters. For example, you could use “tags” and “promotions” to define fulfilment methods (e.g. free delivery promotion on selected products). Existing features such as “finance available when you spend £500” are unaffected. When picking out your products, their eligibility can also now be defined as “in” a criteria and/or “out” of a criteria; for example, you can set up a fulfilment method for products which are on hand (“in”) and not in the bikes category (“out”) as “can be collected in five minutes”. This could also apply to finance products where you do not want to offer interest-free credit on sales items, for example. If you would like help or guidance with this powerful new development, don’t hesitate to contact us. * Criteria can be defined by these fields: sort, direction, skip, limit (e.g. to show ten products, newest first), query (free text search), categories, tags, brands, promotion types, price range, size and colour, availability, slug, product on view, variant on view, has images.